The MCE® Cooling Rack can be used to prevent enzymes from becoming inactive as well as for PCR sample preparation, sample transport, and to slow thawing of frozen samples throughout your entire lab workflow. • Eliminates contamination risk of melting ice baths. • Accommodates 0.5 mL, 1.5 mL and 2.0 mL tubes. • Maintains micro tubes at 0-4°C for up to 4 hours. • Prefreeze in an upside down position for six hours at -20°C. • Snaps together easily for convenient organization. 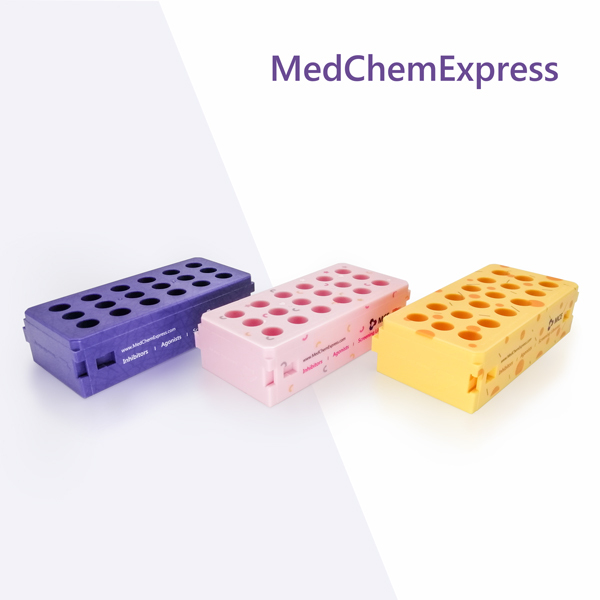 • MCE® Cooling Rack can even snap together with the MCE® Tube Rack and easily used for your experiments.